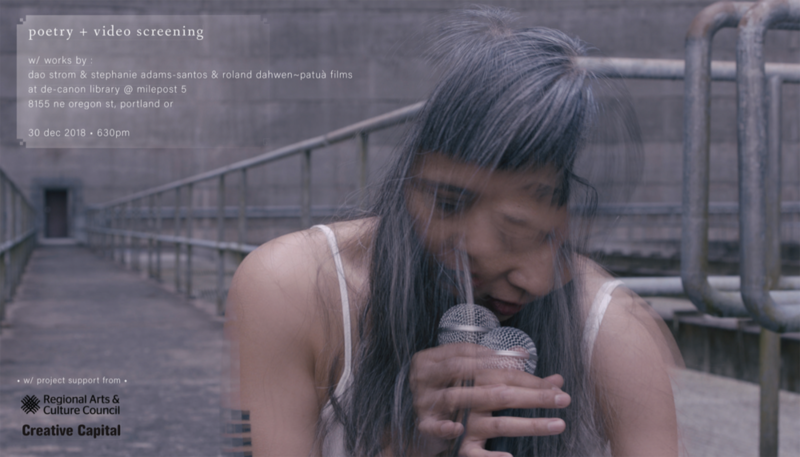 On Sunday, April 14, THERE ARE NO BIRDS IN THE NESTS OF YESTERDAY is screening at Boathouse Microcinema, alongside work by Pam Minty and Julia Oldham. Doors at 7.30pm, showing at 8pm. $8 at the door – no advance tickets. Thanks to Stephanie, Leo, and everyone who attended Monday’s conversation at the Cooley Gallery. 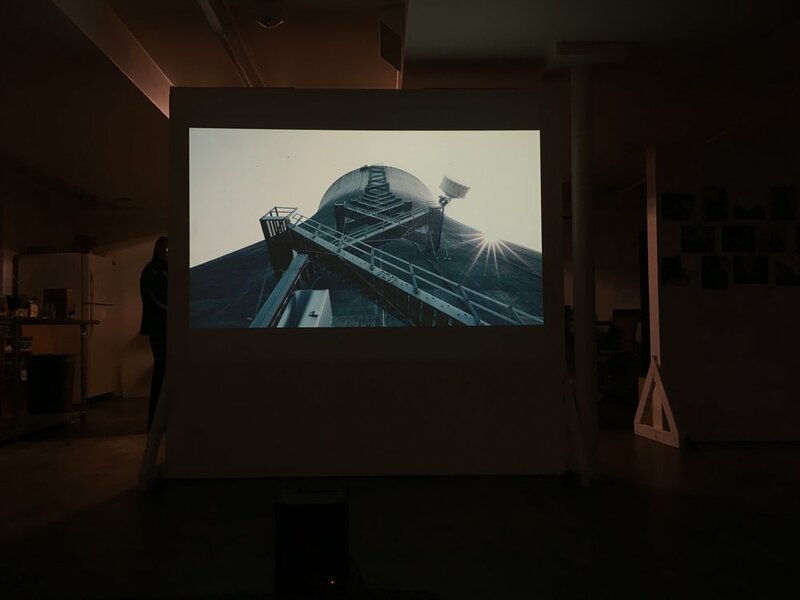 Thanks to Jake and Ryan for inviting us to show our short film THREE MOONS (made with Stephanie Adams-Santos, Kazumi and Rikuku Heshiki, Alma García, and Amanda Consuelo García) at their White Noise Project reading series. The event was their two year anniversary of the reading series. Thanks to everyone who attended. 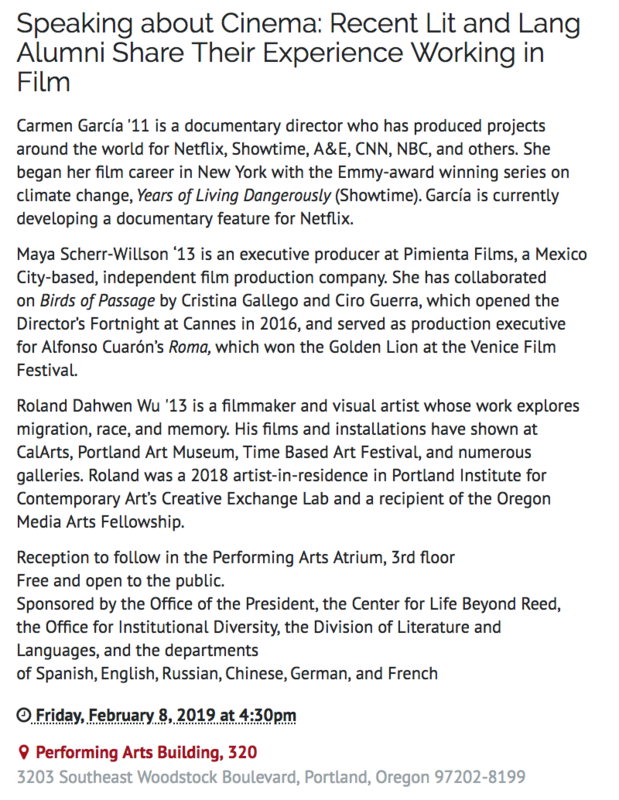 Thanks to the organizers and everyone who attended last Friday’s film panel at Reed College with Carmen García and Maya Scherr-Willson. Special thanks to Libby Drumm for her constant support and encouragement. 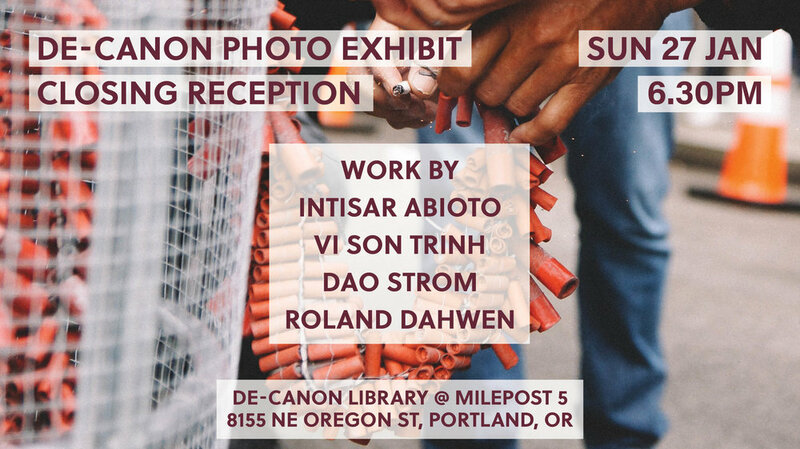 We’re holding an informal closing reception for the De-Canon photography exhibit that has been installed in the library since May. 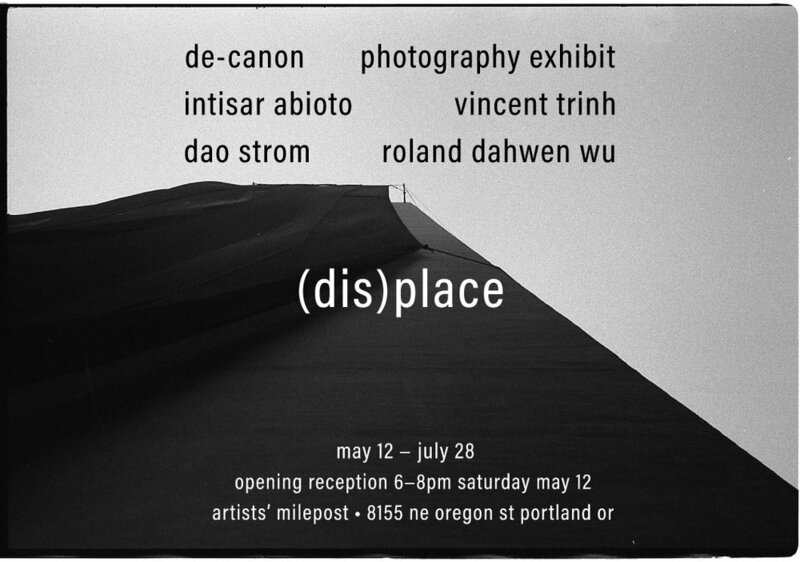 The exhibit features photography by Intisar Abioto, Vi Son Trinh, Dao Strom, and myself. 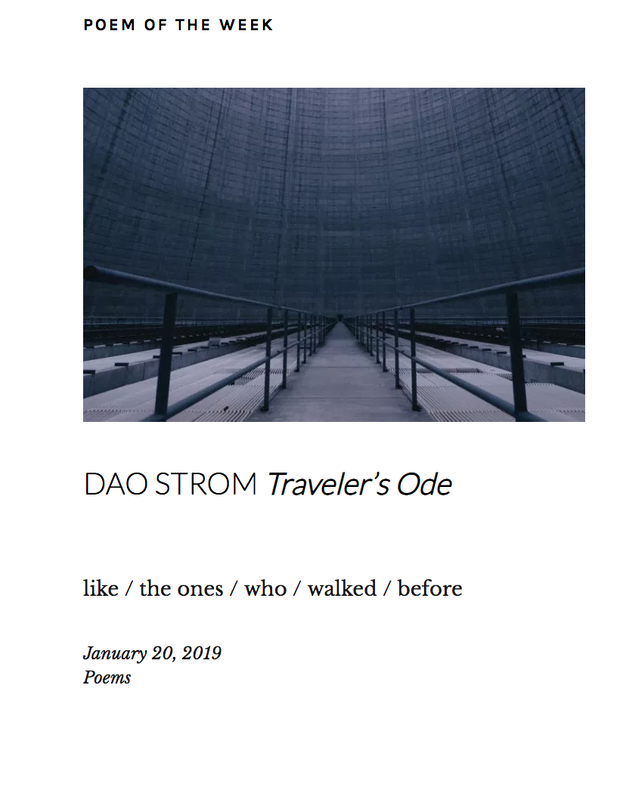 Poetry NW published Dao Strom’s video «Traveler’s Ode» this month. Thank you to everyone who attended last night’s screening at the De-Canon Library at Milepost 5. Special thanks to Dao, Neil, Kyle, Lincoln, Ted, and everyone who made the event possible. 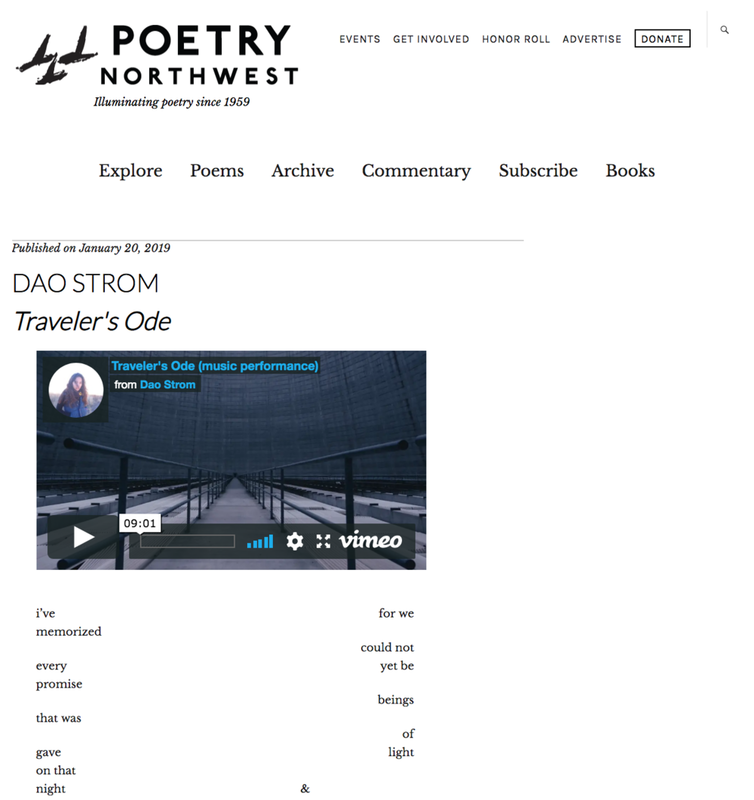 The «Traveler’s Ode» video will be released online soon by Poetry NW. 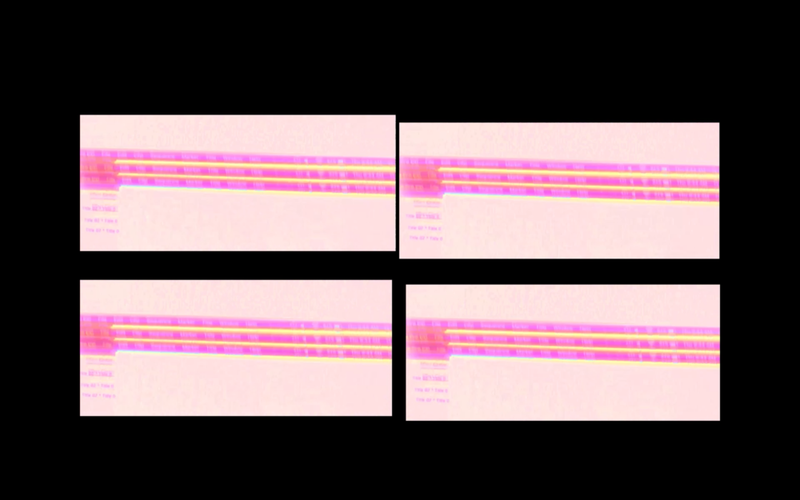 The FIELD THEORIES videos that I worked on for Samiya Bashir (with keyon gaskin) were recently part of keyon’s NASHA festival in Amsterdam. 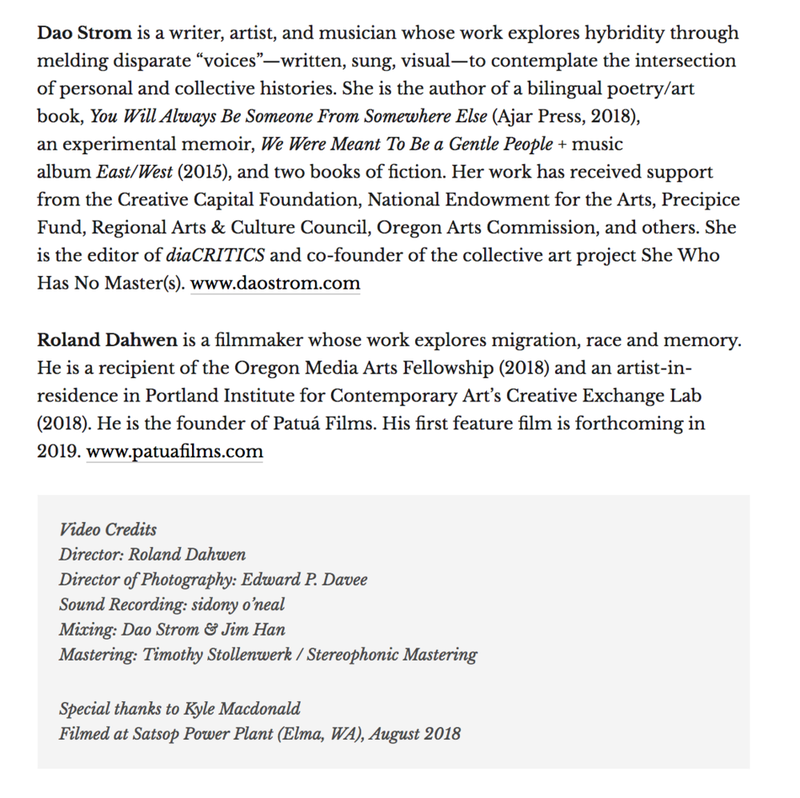 These are very special artists and I am fortunate to have contributed a small part to this. Thank you to everyone who attended yesterday’s NIGHT LIGHTS event at Regional Arts & Culture Council (RACC). Special thanks to William, Ella, and everyone who helped set up and take down the altars. carving the shores of this world! Tonight we honor and celebrate three brilliant and beautiful people who quietly and powerfully influence the world in their own ways: Amanda Consuelo García, Rikuku Heshiki, and Kazumi Heshiki. As elders, they are steeped in life’s riches; they are portals to lost places and times, carriers of rarest cargo, bearers of songs and stories that hold the mysteries of life, death and everything between. Our hope is to bring you into proximity with these people. To shine their light on this cold December eve because it is a warm light and beautiful light. Our hope is remember better how to be present with our loved ones. How to listen and receive. How to look up to the moon. For we cannot know all the mysteries of the moon, so vastly far away, but we can bask in its light and let its questions reach us. 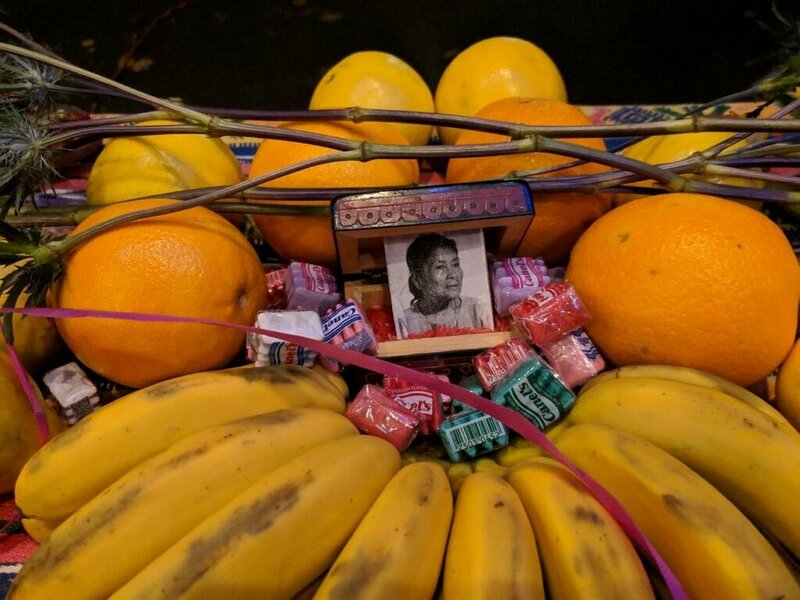 This installation is a continuation of work that Roland Dahwen Wu & Stephanie Adams-Santos have been doing to share their ongoing work around poetry, memory, and honoring our elders. Many thanks to Flávia Rocha, Adriano Diniz, Nini Cartaxo, Taís Sales de Moraes and staff at Academia Internacional de Cinema (AIC) – Rio de Janeiro, for their post-production support of BORRUFA. thanks to manuel arturo abreu, Stephanie Snyder, Kevin Holden, Victoria, Steven, the Cooley Gallery, and everyone involved in home school's FIELD DAY #2 that happened yesterday. i gave a workshop on hospitality and the limits of cinema. 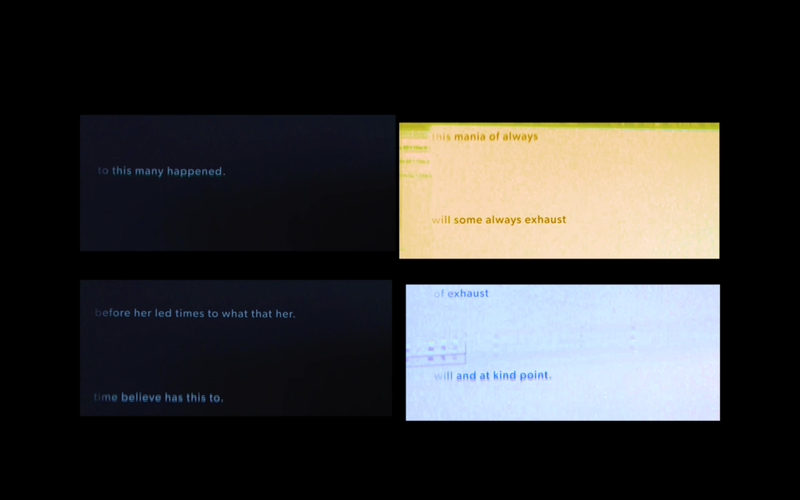 Presentation of FIELD THEORIES (poems and videos) with Samiya Bashir at PCC Cascade. Special thanks to Samiya and Christopher Rose. On May 19th, we'll be screening HAFT-SEEN at Portland State University's 5th Avenue Cinema. We'll also show new works by Jonathan Raissi, Stacey Tran, and myself. Screening followed by Q&A, moderated by Takahiro Yamamoto. Special thanks to Craig Epplin.